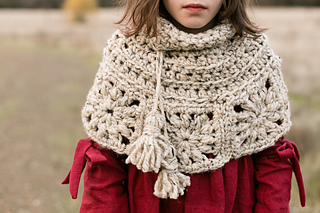 This elbow length capelet is perfect for wearing over a pretty dress with sleeves that you want to show off. 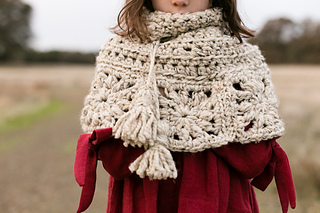 It adds an extra layer of warmth and is a great alternative to wearing a sweater over your special dress. 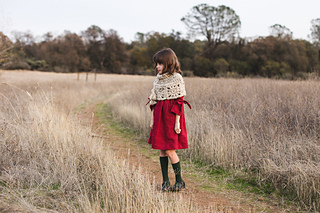 It’s also easier to take on and off than a sweater – convenient for kids (and adults!) who are uncomfortable with bulky sleeves inside their sweater. 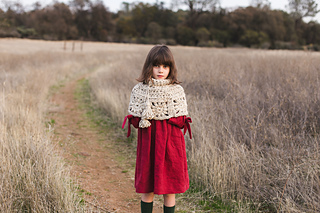 The pattern features directions for children and adult medium, with easy tips on how to make it bigger (or smaller). This pattern is also available at tealandfinch.com for FREE! This is the ad-free PDF. Thank you for supporting my work!